*Starting from: $79.00 *Price may update with selected options above. Prevent water from dripping on your floors on those dreaded rainy days! 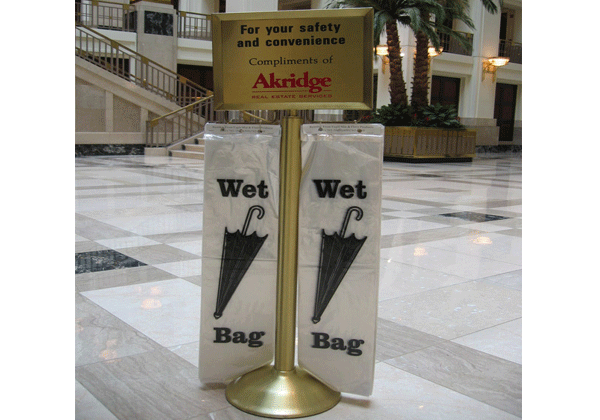 Wet Umbrella Bag Stands offer both customer and employee a place to store their wet umbrellas at the entranceway before tracking water into the facility. 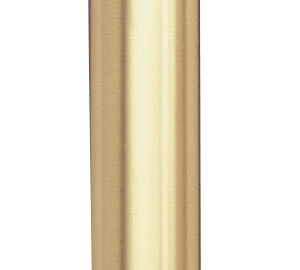 Our Supreme Umbrella Stand comes in an elegant satin chrome or satin brass finish, guaranteed to blend with any lobby décor. 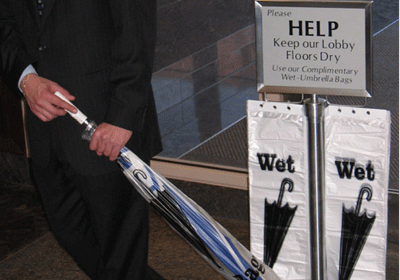 Guests simply tear off one of the plastic umbrella bags and place their wet umbrella inside. 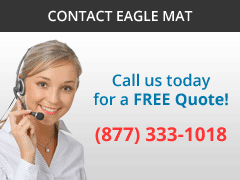 Low-cost safety measure to prevent unwanted slips and falls! From the domed base to the top of the post, the Stand is 36" tall (not including the sign). Stand is made from steel construction and is very durable. 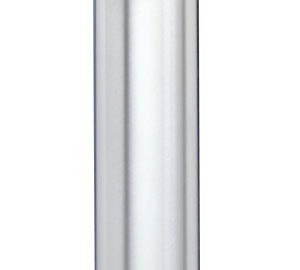 At approximately 30 lbs., the domed base and post are very heavy for stability and to prevent the stand from tipping. A much needed risk reducer for any building or facility entrance. Lobbies are kept safe, dry, and clean. One box has 1,000 Bags (Five Pads with 200 Bags per Pad). Bag Dimensions: 7" x 32"
The plastic bags have holes at the top that act as a Carrying Handle and are also RECYCLABLE! Offered in a beautiful Satin Chrome or Satin Brass. 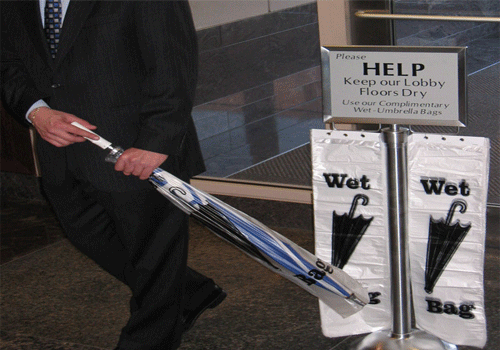 Please Note: "FULL SET" includes stand, matching finished frame, sign, and one case of 1,000 umbrella bags. * To download a file, please right-click the file and select "Save Target As..."